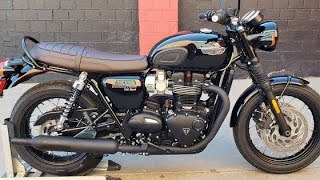 This new 2019 Triumph Bonneville T100 Black Motorcycle for sale has 5 miles. The color is Jet Black. It is offered for sale by Windy City Triumph and located in Saint Charles, IL. The listing # is 108642. For more information call (630) 513-6930 . For the fastest response send an email via the form above. 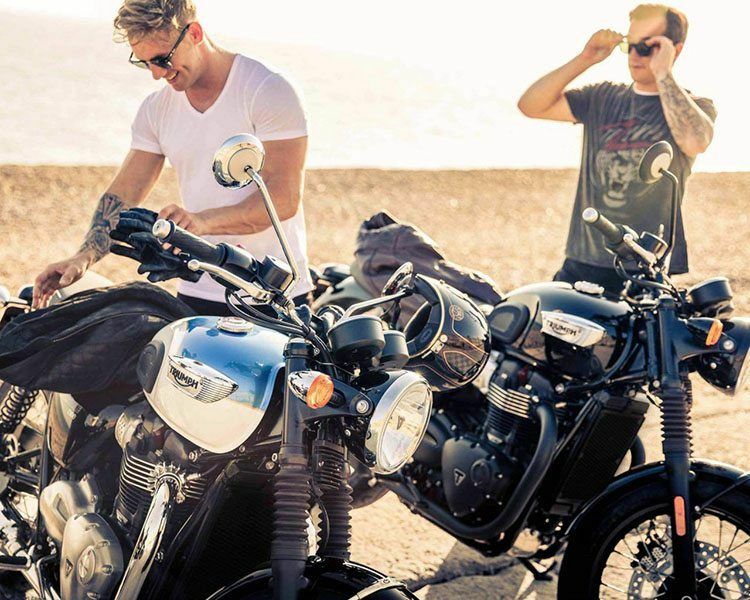 AN ORIGINAL FOR EVERYONE The Bonneville T100 Black is loaded with urban style and attitude. 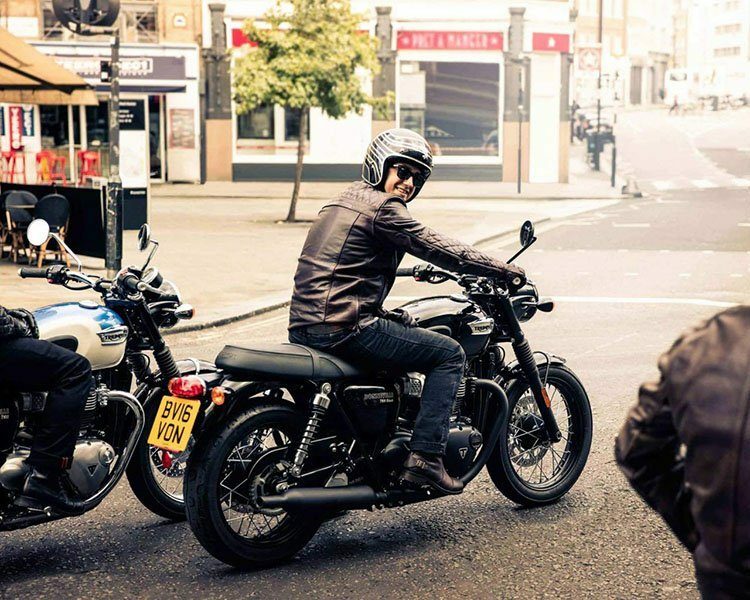 Brimming with sophistication and individuality, the T100 Black takes styling to a different level with fully blacked-out high-quality details, including wheel rims, engine finish and beautiful twin skin &apos;˜peashooter&apos; exhaust in a matt black finish for a truly distinguished look. 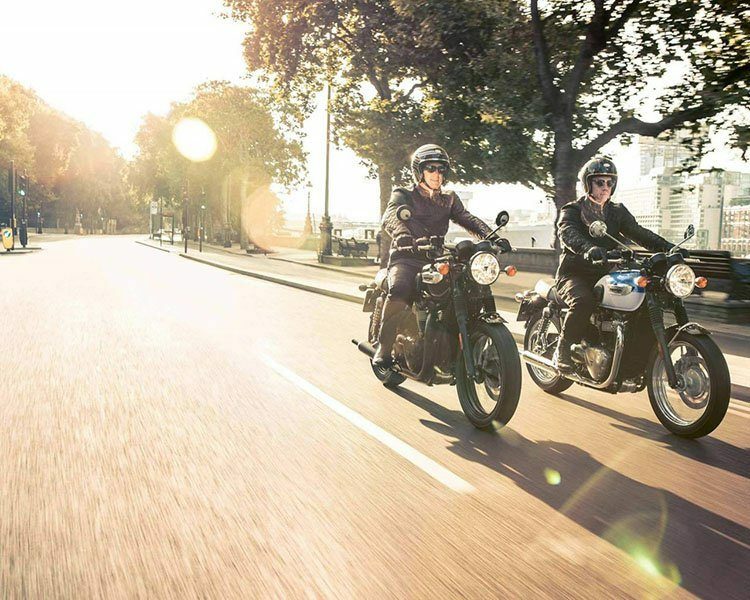 The average price of a 2019 Motorcycle for sale is $9540.52. This model is priced $909.48 more. 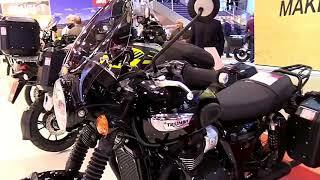 The average price of a 2019 Triumph Motorcycle for sale is $13745.73. This model is priced $3295.73 less. 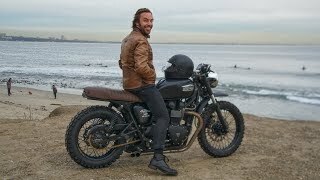 The average 2019 Triumph Motorcycle for sale has 6 miles. This model has 1 less miles. 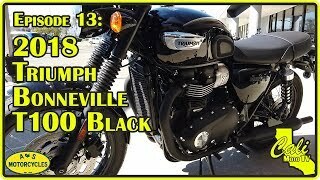 There are 199 Triumph Motorcycles for sale within 150 miles of Saint Charles, IL. 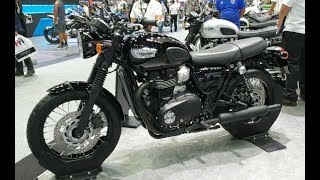 If you looked at the average 2018 Triumph Motorcycle for sale it would cost $1112.01 more. 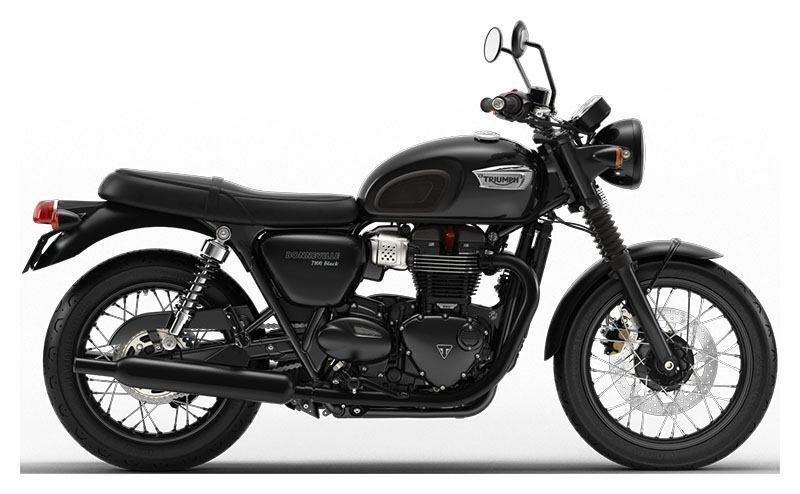 If you looked at the average 2020 Triumph Motorcycle for sale it would cost $6512.50 more. 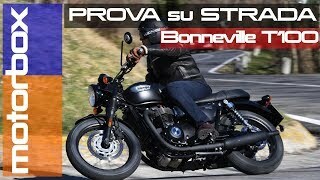 The average price of a 2019 Triumph Bonneville T100 Black Motorcycle for sale is $10600.00. This model is priced $150.00 less. 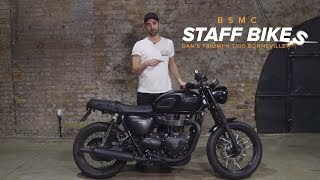 The average 2019 Triumph Bonneville T100 Black Motorcycle for sale has 4 miles. This model has 1 more miles. 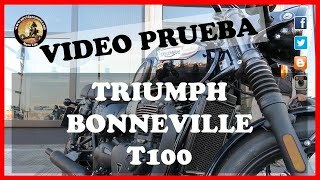 There are 4 Triumph Bonneville T100 Black Motorcycles for sale within 150 miles of Saint Charles, IL. 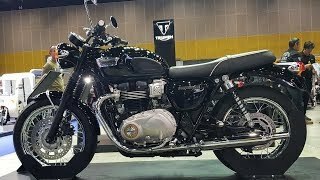 If you looked at the average 2018 Triumph Bonneville T100 Black Motorcycle for sale it would cost $1159.64 less.